I was born and raised in South Florida and was fortunate enough to get to go to Disney often, always for day visits (and of course Night of Joys and Grad Night). It wasn't until I was married and had my first child that we decided to take the trip from Atlanta. That was when I fell head over heels in love with Disney. 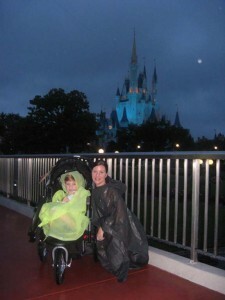 I am mother of two children, a Disney Destination Specialist for Travel With The Magic, and a regular contributor for www.GrowingUpDisney.com. So you have done everything to plan for your trip to Disney. You’ve researched the weather, picked out your clothes and packed your bags accordingly. It’s Florida! The weather’s probably going to be warm and sunny right? Well, not always. 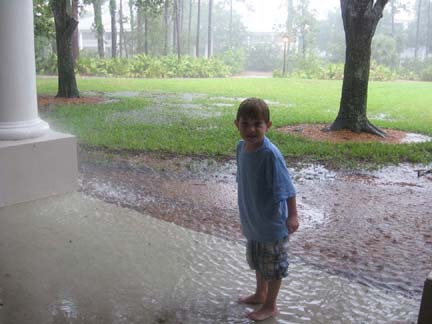 Weather can be unpredictable, especially in Florida. We’ve learned this the hard way, and now I’m passing some tips on to you so hopefully you won’t have to! 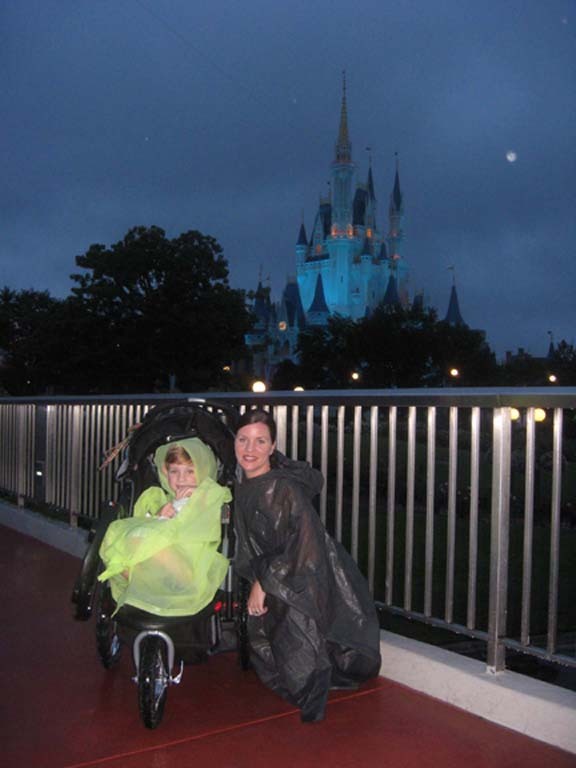 Our very first family trip to Disney World was in September 2007 and it was HOT! We decided in 2008, we would go in October since it would be cooler, and on that trip we got a lot of rain. So then we decided to try the Spring in 2009. May sounded great! I researched the weather and found that May was typically very dry with the average high being 88 and the average low being 66. I became obsessed with the weather the week before we headed south. I stalked all the online weather forecasts. It was going to be perfect! Nice temperatures and no rain, just as we had hoped! 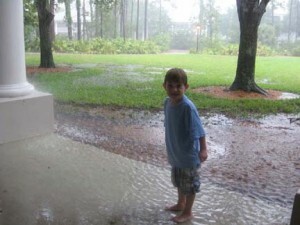 Orlando had been in somewhat of a drought with no rain for awhile. (Selfish I know but yippee for us!) I packed all of our summer clothes: shorts, short sleeve shirts, tanks, skirts and flip flops. Not only would we have rain but we would also have wind gusts and the highs would barely reach 70 degrees. Let me reiterate, I packed ALL summer clothes. We were in Orlando for 8 days and of these 8 days we would continue to get drenched constantly for 6 of them. At one point, rain was literally almost up to my knees when we were walking to the bus station. It was at this point when it was so bad, I literally had to crack up laughing. When we arrived to our hotel, water was rising and only inches away from our door. The weather forecasts mentioned NOTHING about any of this until we arrived in Orlando. So what’s one to do when something like this happens? ALWAYS bring a poncho and umbrella no matter what! We learned this after our first trip when we had to buy the expensive Disney ponchos for each of us unexpectedly. Florida has pop up thunderstorms. You will see the dark clouds moving in and they usually arrive and leave as quickly as they came in but you need to be prepared. Buy your ponchos BEFORE you leave town. You will pay a fraction of the price that you would pay for one in the park. However, don‘t go too cheap because I’ve learned from experience they don‘t hold up well. Carry a poncho/umbrella at ALL times! For example, my son and I went in to the American Idol Experience with blue skies. I left the poncho/umbrellas in the stroller. We came out to torrential rain and Disney has a policy that doesn’t allow guests to wait under cover at the exits so out to into the rain we had to go. Oh how I wish I didn’t leave my poncho in the stroller! We got drenched! 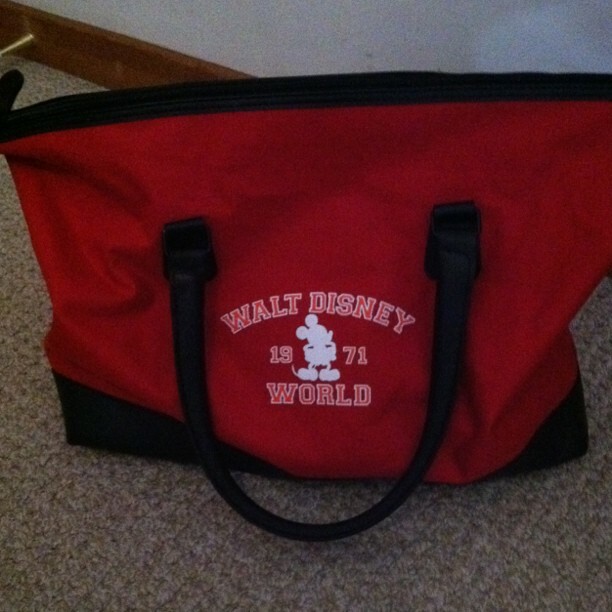 TIP: I prefer to carry a backpack to WDW and I always have a rolled up poncho in case of emergency in my bag. Bring an extra pair of shoes. I brought various shoes but all flip flops, which don’t stay on when sopping wet. I ended up kicking them off and bare footing it at times…gross I know but desperate times call for desperate measures. If you suspect you’re going to get a lot of rain, I recommend bringing a small towel. This would have been great to dry off with. A towel would have also been great to sit on after all the other wet people riding rides before us. Research purchasing travel insurance ahead of time. We always go on a budget and have never paid the extra cost but if you have some extra money, this could be a wise investment. Do some research before your trip and have an alternate indoor plan if needed. 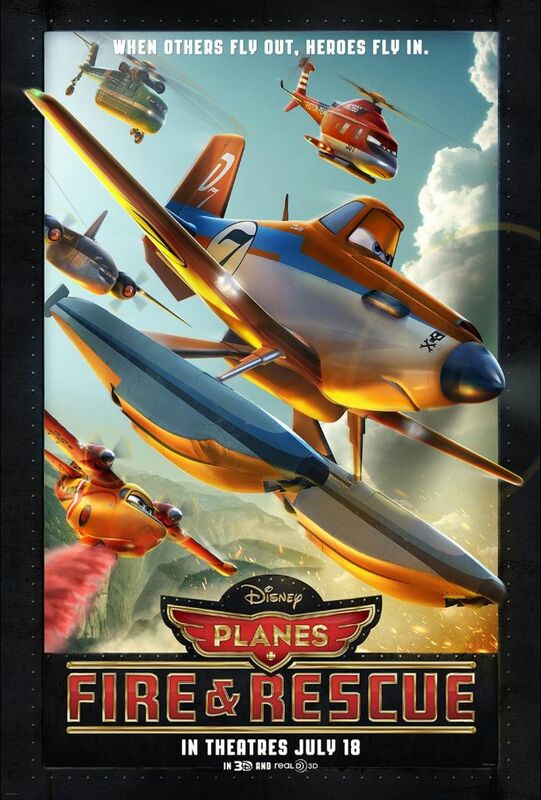 For example, you may want to spend some time at Disney Quest, hopping on the monorail to check out some of the resorts, or viewing La Nouba show at Downtown Disney. We decided to put our ponchos on and make the best out of it! One of my favorite quotes is, “The way I see it, if you want the rainbow, you gotta put up with the rain” – Dolly Parton. 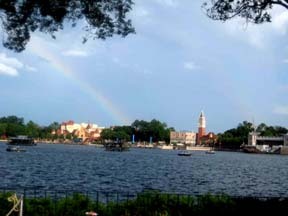 On our May 2009 vacation we sure did put up with the rain but we also got to view a beautiful rainbow while at Epcot. It’s definitely a vacation we’ll never forget, and it taught me a good lesson to always be prepared in the future. 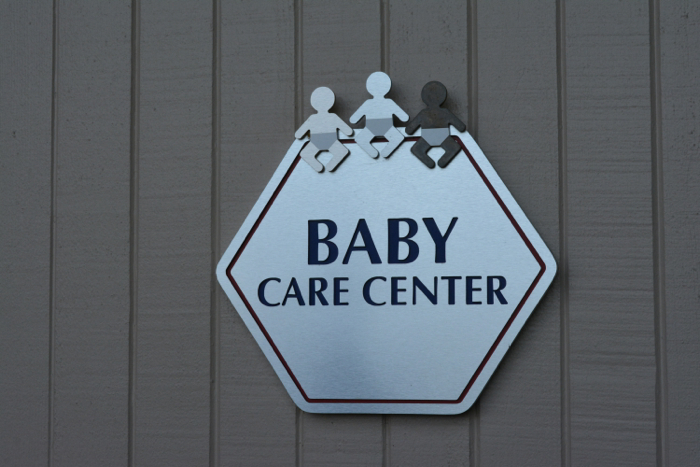 Contributed by: Corby Cook (NDM#389) Corby is the DDL Babies and Toddlers Blogger. She also contributes to Growing Up Disney. Based on the first part of your post, it seems the best advice to avoid the rain is to not go when Corby Cook’s going 😉 But seriously, I totally agree to make the best out of it. Once you’ve sunk this much money into a trip, you can’t let a little rain stop you. The best day of our trip two weeks ago was the day it rained all day. We toughed it out with our ponchos and had a great time. We were in Animal Kingdom. The crowds thinned out some, the August temperatures were bearable (of course, this would’ve been a different story in November) and the animals seemed more active. I had heard that the animals are more active before and during a rain, and I think it’s true. This was the first time I’d ever seen the cheetahs on Safaris, the gorillas were moving around, and it was the first time I’d ever seen the tigers do anything but sleep. We walked onto every ride all day and didn’t need any fastpasses.